On arrival at Beckenham Junction station, visitors see this sign. There’s so much wrong with it, I hardly know where to begin. Let’s unpick it, piece by painful piece. At the top it’s headed ‘Infopoint’ and ‘Welcome to Beckenham’. So let’s assume its objective is to provide people with useful local information. Below the heading is a giant ad for a Chinese Restaurant. In Bromley. Which is the neighbouring town. If the ad does its job and persuades you to go there, you will leave Beckenham immediately. I’m sure that’s not the intention. It is slightly worrying that they were unable to sell that ad space to a restaurant that’s actually in Beckenham. 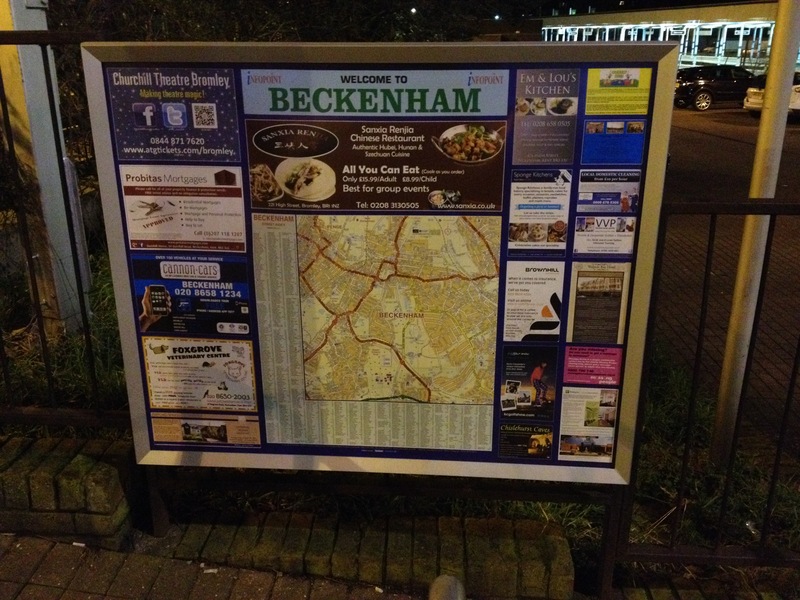 Below that ad is a map of Beckenham. This might actually be useful, except it’s at knee-level and the road names are so tiny you would have to crawl on the ground to read it. It’s not fit for purpose. Both sides of the sign are given over to advertising, which presumably funds it. Perhaps people have come to Beckenham to view a property. Why not? It’s a lovely place to live. But the ad is upsidedown. It would be better to have a heading such as ‘Sorted your mortgage yet?’ and the logo at the bottom. This is because nobody cares who you are until they know what you can do for them. That’s so important I’ll type it again. Nobody cares who you are until they know what you can do for them.